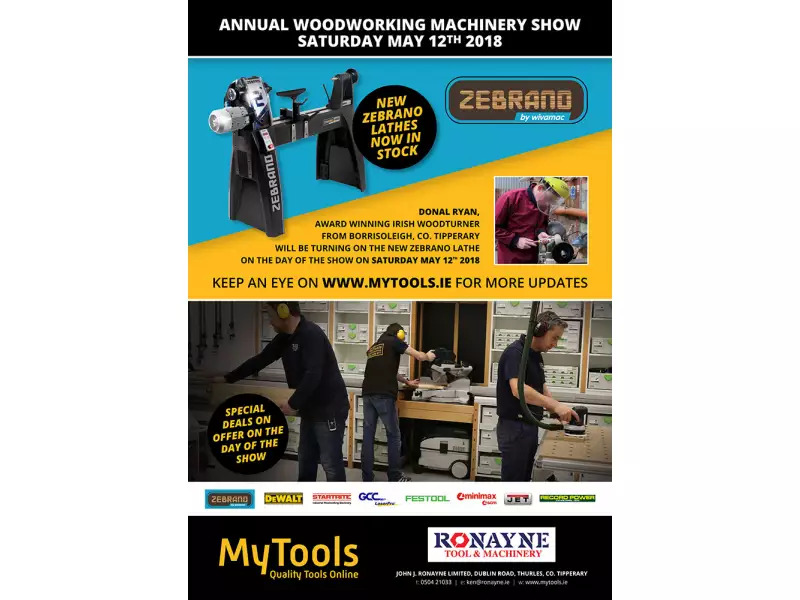 Ronayne Hardware and Mytools.ie would like to invite you to our annual woodturning machinery showday on May 12th 2018 in our premises on the Dublin Road, Thurles Co Tipperary. Come see Irelands biggest showroom packed with all of the best brands such as Zebrano, DeWalt, Startrite, Festool, GCC LaserPro, MiniMax, Jet & Record Power. 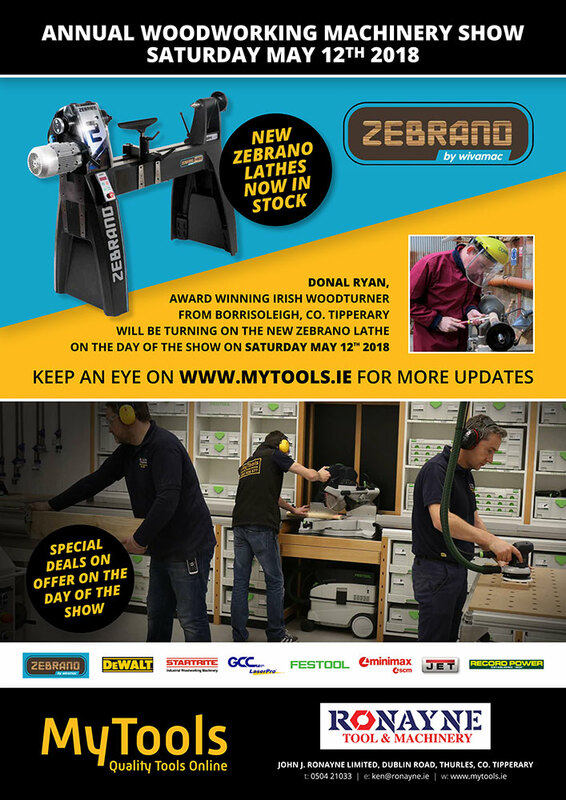 Donal Ryan, Award Winning Irish Woodturner from Borrisoleigh, Co. Tipperary will be turning on the new Zebrano Lathe on the day of the show on Saturday May 12th 2018. Our other major brands will be giving Demonstrations on the day also. Special Deals on offer on the day of the show.